July 2013 Community round-up – Zombies, Run! Time for another community round-up, where we take a look at the impressive and varied work of the prolific Zombies, Run! community. If you have anything to submit for the next Zombies, Run! Community Round-up, feel free to send it over to press@zombiesrungame.com and we’ll be sure to include it in the next edition. If you’re looking for Zombies, Run! 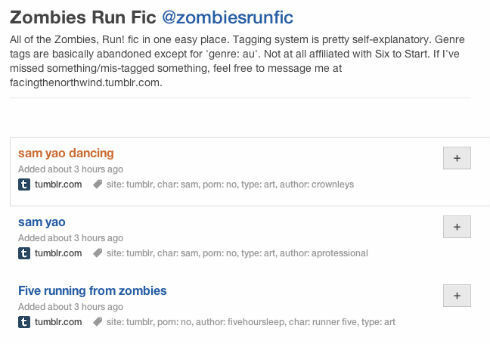 fan-fiction, the unofficial Zombies, Run! Delicious page should be your first port of call. Run by super-fan FacingTheNorthWind, it is a collection of pretty much every piece of fan-fiction and fan-art produced to date. Which is a huge amount. Definitely one to check out, if you’re into Zombies, Run! 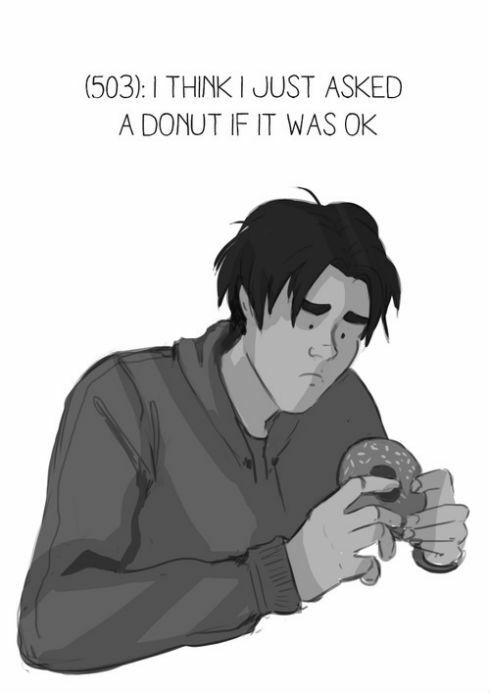 and alternate universes in which the inhabitants of Abel all go to the same university. And there are no zombies. For example. The Texts From Last Night phenomenon enters the Zombies, Run! universe. With art by TheWonderSmith and texts chosen by FairyTalesAndFoolishness, this is a frequently updated blog showing what life could be like in Abel when there’s no-one in the comms shack. Conor Hughes sent in this excellent fan-made recreation of the first mission of Zombies, Run! There’s a radio play version, which features the first two chapters of the very first mission of the game, as well as a live-action video reconstruction of the second chapter. Both worth checking out! We received word of a real life, actual Zombies, Run! fan meetup that took place in Sydney, Australia. This has been documented on FacingTheNorthWind’s Tumblr Blog and, we believe, there are plans for more in the near future. So, if you’re interested in attending one of these unofficial meetups, it might be worth giving FacingTheNorthWind a follow. Have you had a Zombies, Run! fan meetup? Are you planning one? 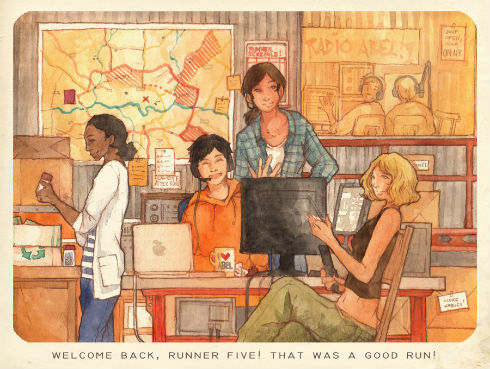 Let us know by emailing us at press@zombiesrungame.com and we can help spread the word! In case you missed the conclusion of our Zombies, Run! Fan Competition earlier this year, we created a page showcasing all of the winners, as well as a bunch of runner ups. We had so many amazing entries, we wanted to show off how creative our community is. Finally, don’t forget that our Testimonials page is now open and shows the huge amount of feedback we’ve had from fans about Zombies, Run! Next Post How awesome is your base? Prove it.